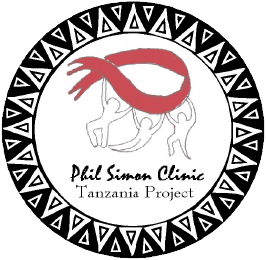 The Phil Simon Clinic Tanzania Project is a small, community based and highly focused endeavor to assist in the control of one of the most devastating epidemics in the global community. COME HELP CHANGE LIVES IN AFRICA! At least 33 million people are infected with HIV worldwide. Twenty eight million of these people suffering with HIV/AIDS live in sub Saharan Africa and have access to very limited medical care. Huntington Hospital’s The Phil Simon Clinic Tanzania Project is a multidisciplinary response to this global crisis in one part of East Africa. In 2016, 1.4 million people were living with HIV in Tanzania. This equates to an estimated HIV prevalence of 4.7%1 In the same year, 55,000 people were newly infected with HIV, and 33,000 people died from an AIDS-related illness. Tanzania has done well controlling the HIV epidemic over the last decade but of the 1.4 million Tanzanians who are currently living with HIV, only 63% of infected adults and 48% of infected children are currently receiving antiretroviral treatment. Currently, the HIV epidemic is severe with a prevelance of 1.5% of the population in some regions but as high as 14.8% of the population in other regions. Tanzania’s mean annual income is $1,025/year. In conjunction with several government and private health care facilities in Tanzania, The Phil Simon Clinic Tanzania Project is designed to provide clinical care, education, psychosocial support and infrastructure assistance to those agencies involved in HIV/AIDS, internal medicine and orthopedic and reconstructive surgery. Since the start of this project, The Phil Simon Clinic has sent over 75 healthcare personnel to Tanzania to help achieve these goals. Medical and educational support and supplies continue to flow to Tanzania between trips to East Africa. Upone Charitable Medical Centre, Mount Meru Regional Hospital, St. Elizabeth's Hospital, Meserani and Endulen Clinics are some of the venues receiving assistance and education from The Phil Simon Clinic Tanzania Project. A robust surgical program has been established at St. Elizabeth Hospital and has changed the lives of many Tanzanian patients. Scholarship programs and an exchange education program have been established to enhance training for local HIV/AIDS providers in Tanzania. This has become especially important as Tanzania continues to address its health needs. The Phil Simon Clinic Tanzania Project is actively involved in ongoing clinical and basic science research in Arusha, Tanzania. Recent projects have included microbiologic surveys for resistant bacteria, antiretroviral toxicities, adherence assays and cultural and psychosocial issues associated with HIV/AIDS in Africa. These research activities incorporate the local Tanzanian professionals and offer an opportunity for shared academic experiences. The Phil Simon Clinic Tanzania Project is firmly committed to ongoing education in HIV/AIDS and other medical and surgical issues. It is our belief that education is the sustainable resource for the future of developing nations, including Tanzania. In addition to shared clinical experiences, The Phil Simon Clinic sponsors medical and surgical symposia, technical skill enhancement and overseas travel scholarships for medical professionals. The Phil Simon Clinic Tanzania Project provides ongoing educational support for local Tanzanian healthcare professionals and medical students as well as equipment, educational materials and other infrastructure.